The Lion’s Roar of Irreversibility (presented here) by Jamgon Kongtrul Lodro Thaye. The Mirror that Excellently Illuminates Suchness by Golo Shonu Pal. Maitreya’s Uttaratantra is considered to be the link between the sutra vehicle and tantra vehicle. It describes buddha nature in detail. Using exposition, logical reasoning, and analogies, the text discusses how buddha nature encompasses the basic ground of mind and is the underlying continuum of practice during all the phases of ground, path, and fruition. Illuminating the Profound Reality by Jamgon Kongtrul Lodroe Thaye. 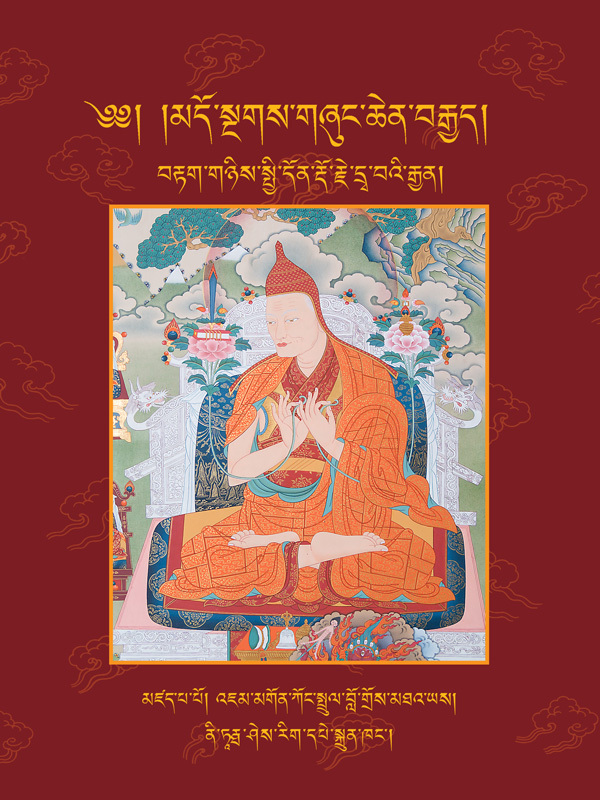 Rangjung Dorje’s root veres and Jamgon Kongtrul’s commentary to Profound Inner Reality introduce students to the theory behind the yogic practices of the highest yoga tantra (anuttara-yoga-tantra) of the Vajrayana. Its chapters specifically include discussion of the details of nadi, prana , and bindu, the inner psycho-physical body; the development of samsara; and the paths and stages. Stainless Light – auto commentary by 3rd Karmapa Rangjung Dorje. Ornament of the Vajra Net: A General Meaning Commentary on the Hevajra Tantra by Jamgon Kongtrul Lodroe Thaye. Jamgon Kongtrul’s work is a commentary on one of the principal Buddhist tantras. It is his primary exposition of the Vajrayana that discusses view, meditation, and conduct. The emphasis of the tantra itself is Vajrayana conduct.